Dive With Turtles! after your Open Water you can! Get your PADI scuba certification! If you’ve always wanted to learn how to scuba dive, discover new adventures or simply see the beatifull world beneath the waves, it all starts here: The PADI Open Water Diver Course. The PADI Open Water Diver course — the world’s most popular scuba diving lesson — has introduced millions of people to the adventurous diving lifestyle. No previous experience is necessary. You’ll start our learning the theory of diving — either online via PADI eLearning or in a classroom — then take your first breaths underwater in the reassuring confines of a swimming pool. Then you’ll take the plunge with an instructor and put what you learn to the test in the aquamarine seas. 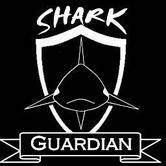 Once you “have your PADI,” you can dive up to 18 meters (65 feet) anywhere in the world with any other certified diver. And Open Water is just the first step. You can go on to Advanced Open Water Diver, Rescue Diver or, if you’re really impassioned, become a PADI professional divemaster or instructor! Knowledge Development — Either online at home or in a classroom where you’ll learn the basic principles of scuba diving. Confined Water — You’ll do at least five short dives in a swimming pool or shallow, protected area in the sea to put what you learned in the classroom into practice. Open Water — You’ll do 4 dives to review your skills and explore! If you've tried diving through a Discover Scuba Diving experience, the skills you learned may be credited towards a portion of the full PADI Open Water Diver course certification and in most cases will earn you a discount on the course! The fun part about this course is . . . well, just about all of it! Learning to dive is incredible. You breathe underwater for the first time — something you’ll never forget — and learn what you need to know to become a certified diver. During the course, you’ll make at least five pool dives and four dives at local dive sites under the supervision of your PADI instructor. PADI offers a variety of home-study materials for the Open Water Diver course. While eLearning is the most-convenient option, you may also choose a book and DVD package or a multimedia DVD-ROM which is available at any diveshop. As for the equipment, in the PADI Open Water Diver course, you learn to use basic scuba gear and standard accessories. 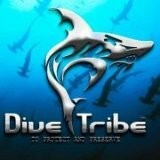 If prefered diveshop also can train you to use a dive computer and again most shops offer a discount when you buy one with your course. The equipment you wear varies somewhat, depending upon whether you’re diving in tropical, temperate or cold water Check with your local dive shop about the gear you’ll use during this course. You can find most everything at the scuba diving shop in your area.